Click here to visit our online puppy form if you would like your name on our wait list. And here is a link to a Word version if you prefer to cut and paste it into an email. Once we have received your deposit and accepted your puppy form, we will place your name on the wait list of your choice. Please do read below for more information about our adoption process. All our Australian Labradoodle puppies are from pedigreed parents and come tattooed, microchipped, vaccinated, socialized and spayed/neutered already for you. Our labradoodle puppies are sweet natured and are bred for temperament… after all, this is a pet you will have for 12 – 15 years or more! Our intention is to breed with the breed standard in mind as originally created by the breed originator at Tegan Park. Our babies are born in our home and handled daily so our babies are used to people, household noises and children. Please read through our guarantee before adopting one our our labradoodle puppies… purchasing one of our labradoodle puppies constitutes acceptance of the terms of our health guarantee. We want all our families to be aware of and comfortable with the guarantee that comes with all our puppies. Please contact us by phone or email before sending a deposit for any of our puppies. When you are placed on our wait list, we RESERVE a puppy for you and your deposit is considered not refundable as it often means that other families may decline to put their name on the wait list, thinking that the list is getting full. We do, however, bank your deposit for two years from the date it arrives and you are free to move your name from one list to another. We do interview our families before placing our puppies, both to ensure they go to good homes and to be certain the puppy is the right one for your family. We reserve the right to retain puppies from our litters for use in our breeding program, so it may be that puppies shown in pictures may not be available for adoption. We also reserve the right to refuse or return deposits for any reason. Linda and Kevin Gelaude - We raise exceptional quality labradoodle puppies as pets and therapy dogs. 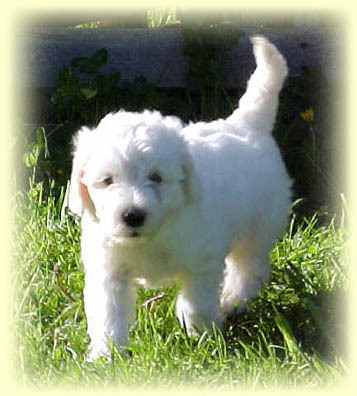 Copper Canyon Australian Labradoodles is a premium rated labradoodle breeder. All our labradoodles are fully health tested and our labradoodle puppies come with a 2 year genetic guarantee against genetic health issues. Come fall in love with a labradoodle!